GULU – The over 1,000 Local Defence Unit (LDU) recruits undergoing training at the military base in Gulu District on Wednesday started shooting drills as their pass out draws closer. Maj Olweny cautioned locals not to panic when they hear the sounds of heavy gunshots during the drills. He also warned locals who would intend to carry on with their businesses within the proximity to be extra careful to avoid injuries. “When you hear the gun shots, don’t get scared, it’s part of the ongoing training. To the people living in the area who may be looking for firewood, charcoal, and hunting, they should not get closer to the site to avoid occurrences of injuries,” Maj Olweny said. “The recruits have been undergoing military training for the past two months, they are moving on well with the training. We started the shooting exercise and it will run till December 1,” he added. The army began recruiting LDUs in September this year following directives from President Museveni in a bid to strengthen security in the country following several spates of murder within and outside Kampala. Maj Olweny said they have given out letters to the respective local leaders in Palaro Sub-county to help in sensitizing locals of the ongoing ranger shooting exercise. A total of 24,000, force of LDU personnel are expected to be deployed across the country by January next year to beef up security. 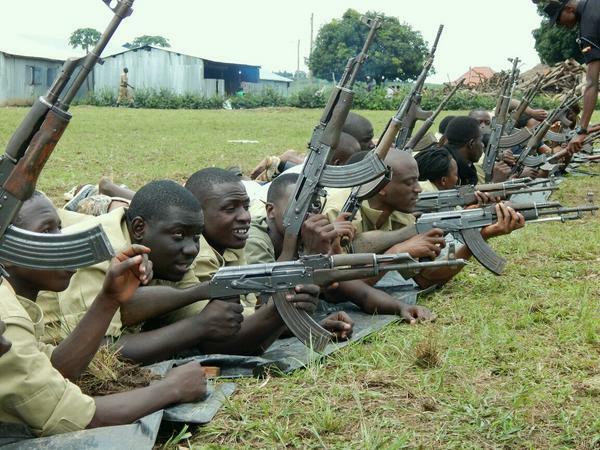 Other LDU recruits are undergoing training at other military centres across the country. The decision to recruit the LDUs came on the backdrop of a rise in a number of murders, notably those of then Arua Municipality MP Abiriga and former Buyende District Police Commander Mohammed Kirumira.